JEFFCO, a full service construction firm is located in Rockville Maryland but services Washington D.C. and Virginia as well as Maryland. We have three arms to our business structure; we are custom homebuilders, remodelers and a home service management firm. JEFFCO is a company with admirable values: a small, family company, devoted to maintaining that element of familiarity; a customer-comes-first mentality, where you and your needs are paramount to the job at hand. Founded over 30 years ago by Jeff and Rena Robins, JEFFCO benefits from an exceptional local rapport and diverse, robust portfolio. The team at JEFFCO works to consistently improve their methods and educate themselves in the evolving world of building and architecture. 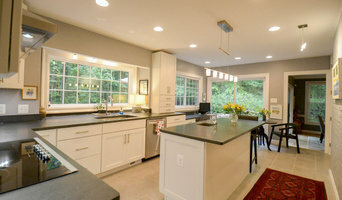 With ever-evolving skills and techniques at their disposal, the custom home or remodel that the client receives is always of the highest quality. As the world of building changes and shifts, so, too, does JEFFCO--with a variety of excellent, eco-friendly methods and materials, we not only strive to provide the most exceptional product, but also one that leaves the smallest carbon footprint. 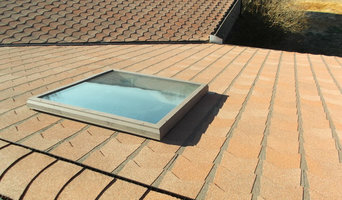 Hiring JEFFCO guarantees a committed, personal involvement on behalf of the entire JEFFCO team; a guarantee that your project will be treated with consideration and diligence, and that you will be a part of the design and development process, such that you receive the product that you truly want. Moss Building & Design is an award winning, family owned remodeling company that has been serving Northern Virginia for over a decade. 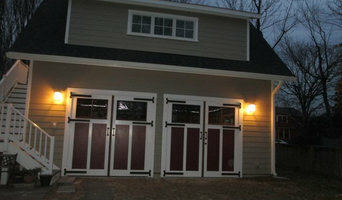 We specialize in remodeling additions, kitchens, bathrooms and basements. We strive to provide our customers with a remodeling process that is equivalent to the superior remodel they will receive. Our industry-best project management allows transparency and clear communication to shine through during your home improvement. We offer valuable resources to help you understand what's happening at every phase of your remodel. MOSS Online, is our online project management tool that allows you to track your selections, budget, progress photos and much more! Our regional team project management means that you will work with the same team for every home improvement. You'll have a team of support that includes a Sales Consultant, Customer Success Manager, Project Designer, and Project Coordinator. Each role will help you at the different levels of your home improvement. At Moss we want to build lifelong relationship with our customers. Whether you need electrical repairs, or need more space for your growing family, Moss will be there every step of the way. We are the one stop shop for home improvements in Northern Virginia and we look forward to the opportunity of working with you. Washington Metro's Leading General Contractor - Best of Houzz 2017! Why should I hire a contractor or civil engineer in DC Metro, DC? Civil engineers or building contractors, often play the role of a project manager. They oversee the entire remodeling or new home construction project and facilitate all day-to-day tasks that move it toward completion. Construction contractors can be involved from an early stage and can work closely with the architect to review plans, arrange for permits and inspections etc. In addition, DC Metro, DC general contractors are responsible for hiring subcontractors for the majority of jobs, such as electrical work, painting or plumbing. Most importantly, contractors should be on-site regularly to inspect the progress and resolve issues and track progress. How do I find a good contractor in DC Metro, DC? Finding a dedicated DC Metro contractor to build or renovate your home can be a challenge. Choosing the wrong contractor can lead to delays, bad quality of work and even legal problems. To avoid such problems, it's essential that you do your homework before deciding on the right general contractor. Research civil engineers and contractors in DC Metro, DC on Houzz, look through their work and read reviews to understand their style before you reach out to them for bid or quotes. One you have narrowed down your choices, meet with them to discuss a few aspects like the details of your project, the budget and the timelines. Also, always insist on having a written agreement before getting started on the project. Find a good DC Metro, DC contractor or civil engineer on Houzz. Narrow your search in the Find Pros section of the website to contractors. You can also search for photos and contact the contractor who worked on the project.